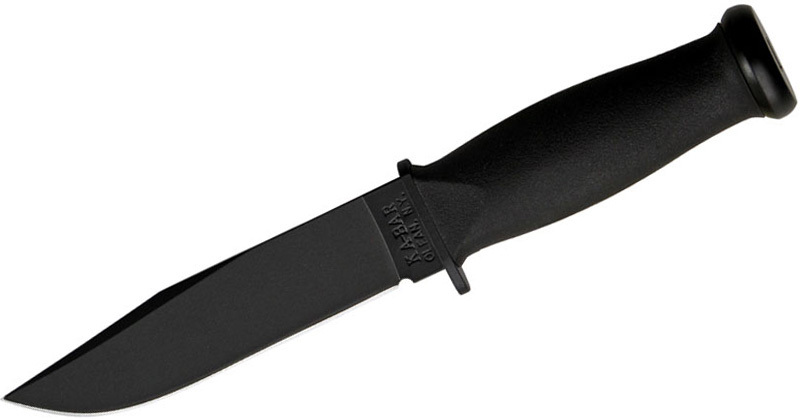 KA-BAR is a legendary brand that’s been making knives under different names for a century. While the KA-BAR knife is the most well-known model from the company, the Olean-based company makes a diverse group of knife designs. Teaming up with some of the best knife-making minds out there, such as Ethan Becker, Rick Hinderer, and Bob Dozier, shows this brand is committed to quality designs. Here are the 10 best KA-BAR knives right now. Let’s start with the icon — the original KA-BAR. I won’t go too deep into the history of KA-BAR (because I’ve already done that) but a few companies actually made the KA-BAR knife. However, the knives that were made by what is now KA-BAR were always considered the best. Even all these years later, the fighting knife remains a favorite among civilians and military personnel alike. 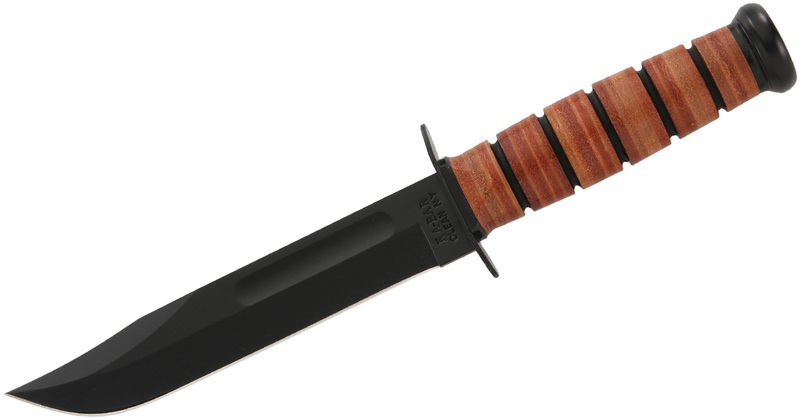 I could have easily made this list nothing but KA-BAR utility knives, but I thought the classic USMC could also stand in for the dozens of other iterations, such as the Kraton models, tanto models, and smaller versions. You can pretty much find the perfect KA-BAR for you. Just as I could have made list of only the fighting knives, I could also make this list nothing but models from the KA-BAR Becker line. Ethan Becker is a knife-designing savant and his line of Beckers at KA-BAR proves it. Few are as great and versatile as the BK2 Becker Campanion. When people ask for the best all-around outdoor knife, this knife almost always comes up. It has a versatile 5.25-inch 1095 Cro-Van blade and comfortable Ultramid handle. You can’t really go wrong with this knife. Bob Dozier is probably best known for his fixed blade hunting knives that can be quite pricey. But he worked with KA-BAR to bring an affordable folding hunter to the masses. The result was the highly successful Dozier Folding Hunter. It has a 3-inch blade made from AUS8A steel, a backlock mechanism, and Zytel handles that come in different colors. It’s an unlikely hit but it’s an excellent budget EDC. The mini is surprisingly well received too. One of the themes of this list is that it contains work from great knife makers. That trend continues with the Turok. 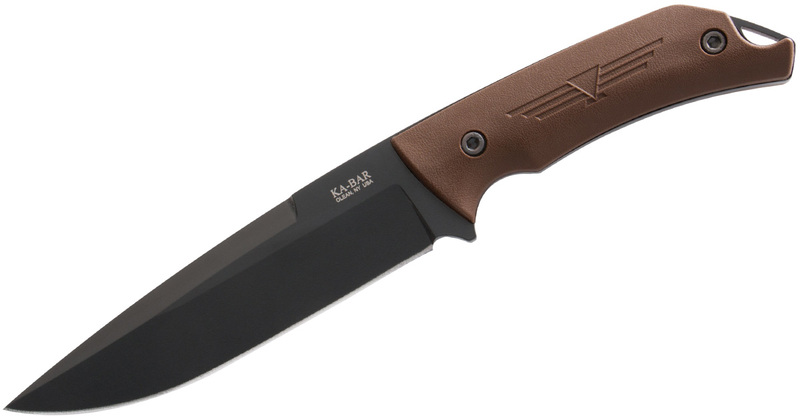 A collaboration between former up-and-comer and now certifiable hit knife maker Jesse Jarosz and KA-BAR, the Turok is a long fixed blade with a 6.25-inch 1095 Cro-Van steel blade and brown Ultramid handles. It uses the same materials as the Becker line but the design is very different. It has a drop point profile with a prominent swedge and brown handle scales. The smaller Globetrotter is also worthy of a mention. The Turok and BK7 are pretty similar in function, but the BK7 was specifically designed for soldiers and adventurers. 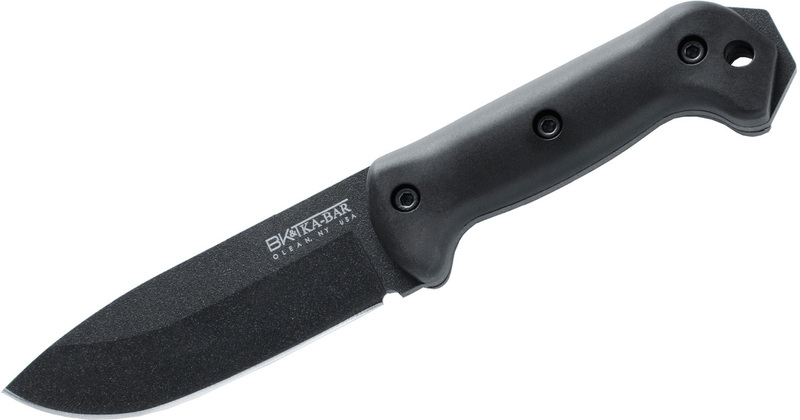 It’s a tough fixed blade with a longer 7-inch blade and durable Ultramid handles. You can beat this knife mercilessly, and it will keep performing with little fuss. 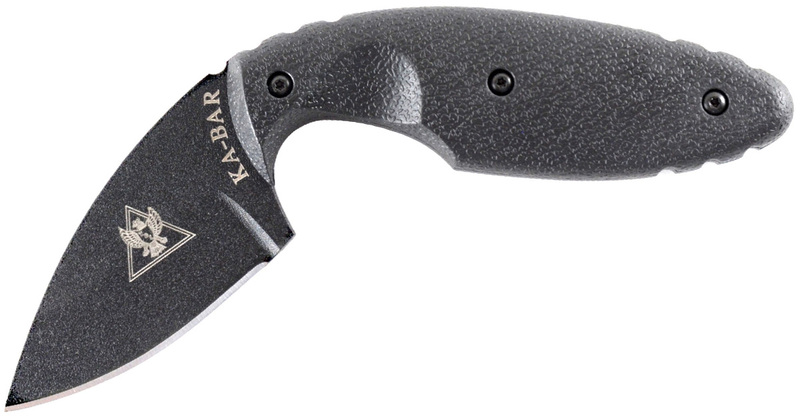 KA-BAR has a sweet spot with hard-working folding knives. Accompanying the Dozier on this list is the MULE. Standing for Military, Utility, Law Enforcement, the MULE is a heavy-duty folder with a 3.875-inch blade and a back lock that will withstand a ton of pressure. The Zytel handle is virtually indestructible too. This knife won’t win any awards for style or finesse, but it’ll get the job done. John Benner of the Tactical Defense Institute and Rick Hinderer work with KA-BAR on a series of knives. 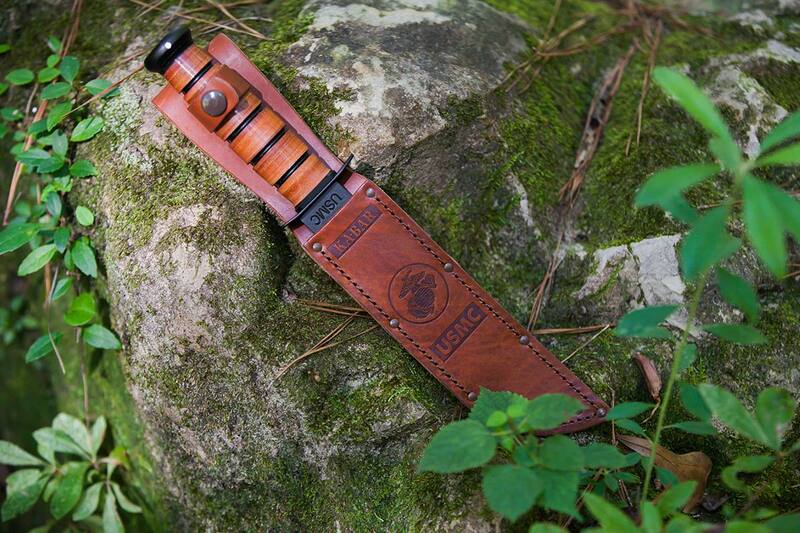 One of the first and best of the TDI series is the KA-BAR original TDI. The knife is pistol-shaped and is designed to be used as a last-ditch weapon in those cases when a suspect is trying to take an officer’s gun. 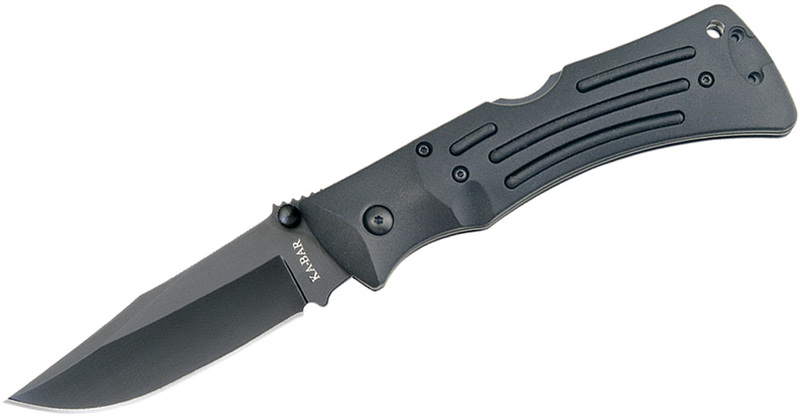 The concealable fixed blade has become popular among civilians who want to be prepared for anything. A remake of the ever-popular and sought-after knife issued to the Department of the Navy during WWII, the Mark I features a non-reflective black blade that is epoxy powder-coated. Tests prove the finish is more durable than ever. The classic oval shape of the original KA-BAR remains and has been modernized with a material nearly impervious to sweat, chemicals, water and wear – Kraton G.
The smaller knife, with a 5.125-inch blade, is an excellent option for an outdoor fixed blade. Yes, there’s another Becker on this list. I was tempted to do something like the reasonable BK16, but I couldn’t pass up the opportunity to extol the virtues of the BK3 Becker Tac Tool. This is a collaboration between Becker and John Benner of TDI and is one of the best hard-core knives out there. The design of the knife allows the user to pry, hammer, cut, smash, destroy, and worse. This is a knife meant to be beaten and do all those things other knives can only dream about. The blade is 7 inches with a chisel grind and a partially serrated edge. 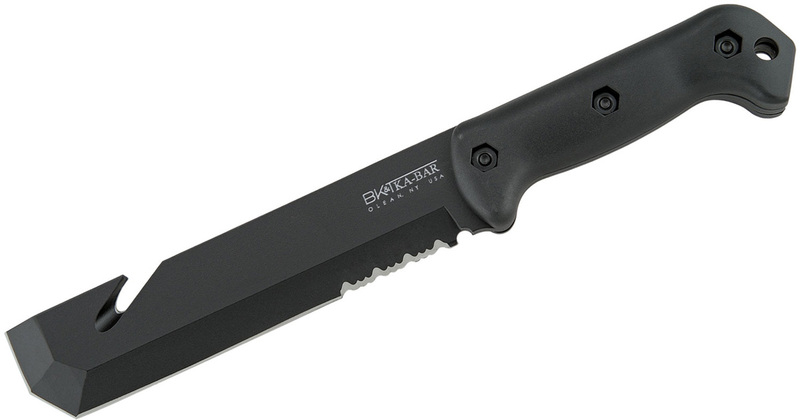 This knife gets tons of praise from anyone who uses it, and it’s more than likely this knife has saved a few lives. You replace a bunch of tools in your toolbox with this single knife. Finally, there’s the D2 Extreme. I didn’t want to include too many variations of the original KA-BAR but I think the D2 Extreme is different enough to warrant an inclusion. The D2 Extreme is a KA-BAR, but it has a few distinguishing design choices. 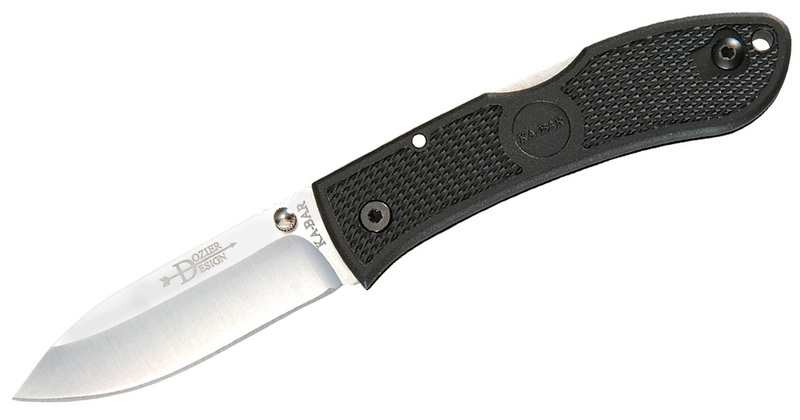 First is the D2 steel used on the iconic 7-inch clip point blade. The D2 has a higher resistance to corrosion than the 1095 Cro-Van steel of other KA-BARs and keeps a razor sharp edge well. The handle is also considered an upgrade by many. The black Kraton G material is comfortable and durable and the guards are slightly different. This isn’t usually everyone’s first KA-BAR, but it’s most people’s last one. There are a lot of expensive knives on the market today but for my money the quality of KA-BAR always supersedes the price. In my 66 years of life I have never had a KA-BAR knife let me down.